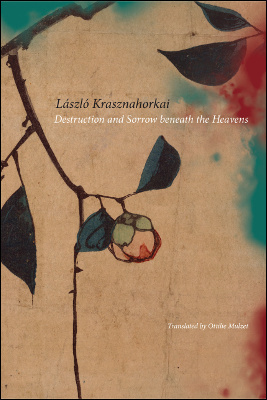 László Krasznahorkai (author), Ottilie Mulzet (translator), Destruction and Sorrow beneath the Heavens: Reportage, Seagull Books, 2016. 320 pgs. In my favourite poem by Wang Wei (699–759), the poet tries to get to a mountaintop temple—allegorising the individual’s quest for Buddhist enlightenment—but gets lost in the fog. He sits and meditates by a pond, instead, and achieves enlightenment by not making it to his destination.